The first Theatre on this site in Coventry Street, London opened as the Prince's Theatre on the 18th of January 1884 with a production of the Comedy 'The Palace of Truth' by W. S. Gilbert, of Gilbert & Sulivan fame, and a production of the Comedy 'In Honour Bound,' by Sydney Grundy. 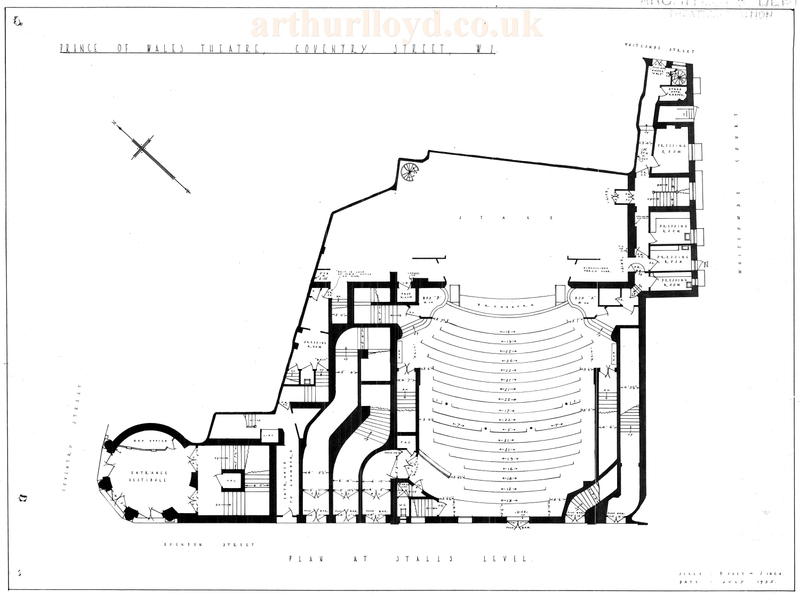 The Theatre, with a capacity of 1,062, was designed by the prolific Theatre Architect C.J. Phipps as part of a development which also included an Hotel and Restaurant. Although the Theatre originally opened as the Prince's Theatre it would soon be renamed, only two years later, to the Prince of Wales Theatre on October the 4th 1886 for the opening of the Comic Opera 'La Bearnaise.' On the 16th of January 1937 the last production at the original Prince of Wales Theatre, a revue called 'Encore Les Dames,' came to an end and the Theatre closed its doors for the final time. 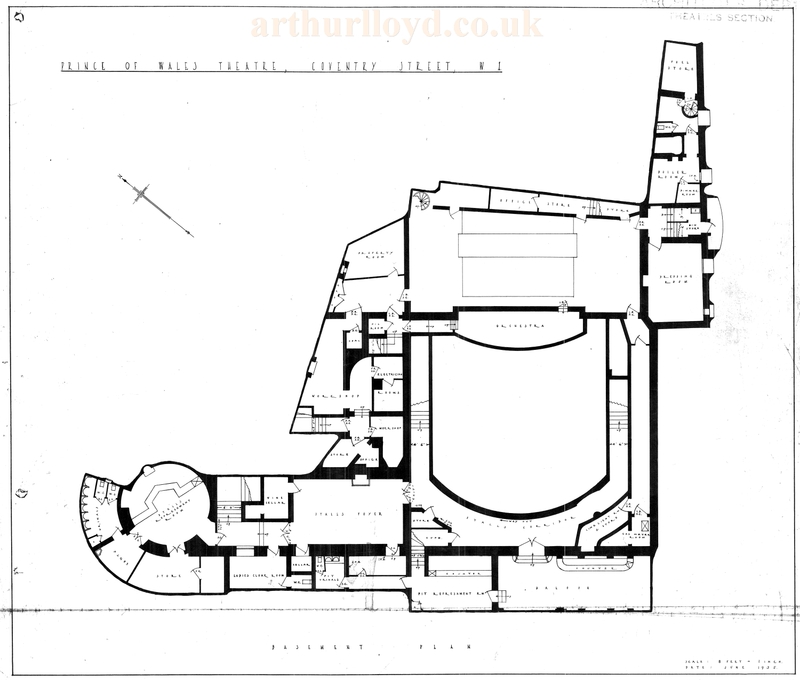 The old Theatre was then quickly demolished so that a new Theatre of the same name could be built on the site. 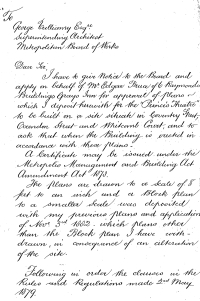 Right - C. J. Phipps' handwritten planning application letter to the Metropolitan Board of Works, 11th January 1883 concerning the Prince's Theatre, Coventry Street, London - Click to see the whole letter enlarged. 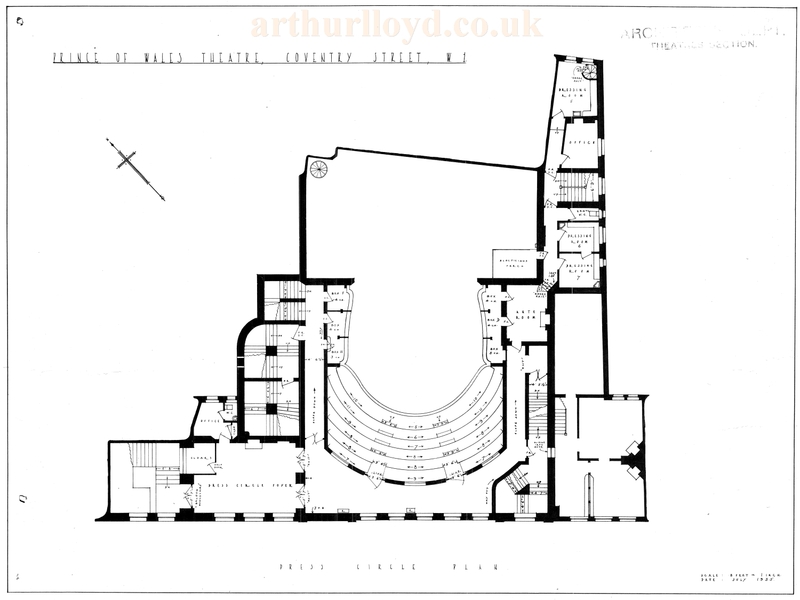 Below are the architect's plans which were produced in July 1935, two years before the Theatre was demolished, to make way for a new one on the same site. 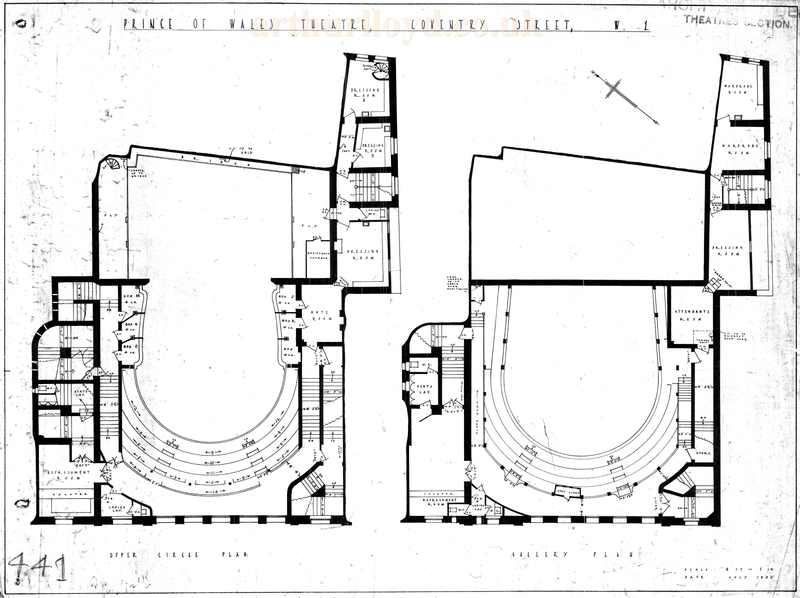 The plans were most likely copied from the original 1880s ones by C. J. Phipps and then modified for any changes over the years such as the renaming of the auditorium tiers. There is much more information on the history of the Prince of Wales Theatre on its own page here.